People with more income, wealth, education, and social standing tend to live longer, healthier lives. The relationship between health and these interconnected socioeconomic factors is complex and mutually influential. Differences in these factors can have compounding and cyclical effects that accumulate over generations. Tennesseans’ prosperity and our health and well-being have a complex and mutually influential relationship. Each one affects the other. 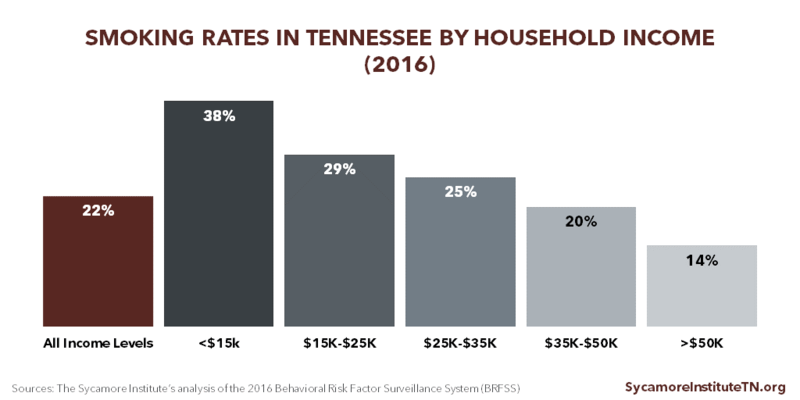 In our previous research we found that Tennessee’s high rates of chronic disease impose a significant cost on our economy. 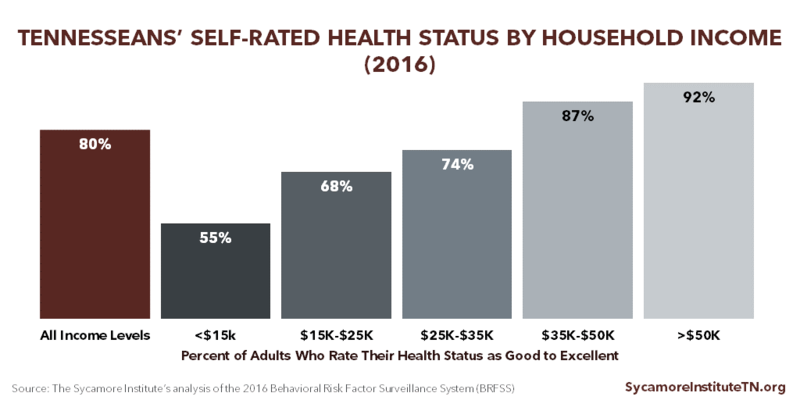 Focusing on another aspect of the relationship, this report explores how a person’s income, wealth, and other socioeconomic factors can influence their health. There are many social and economic factors that affect people’s lives. (4) These individual metrics are related but not interchangeable. The most commonly used are income, wealth, and education. Measures of socioeconomic status that include wealth in addition to income and education provide a more complete picture of economic resources available both now and in the future. (8) (9) Wealth often helps people financially weather adverse life events (e.g. illness, unemployment, labor market changes), reduces stress, and provides access to other resources. 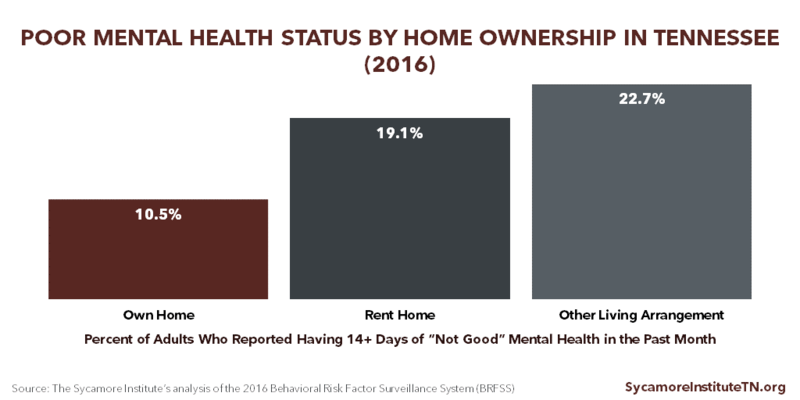 (6) At the same time, barriers to obtaining wealth and resources (such as debts that prevent a person from qualifying for a job or buying homes/vehicles) can have a negative effect on health. Unfortunately, comprehensive data on wealth are not routinely collected. 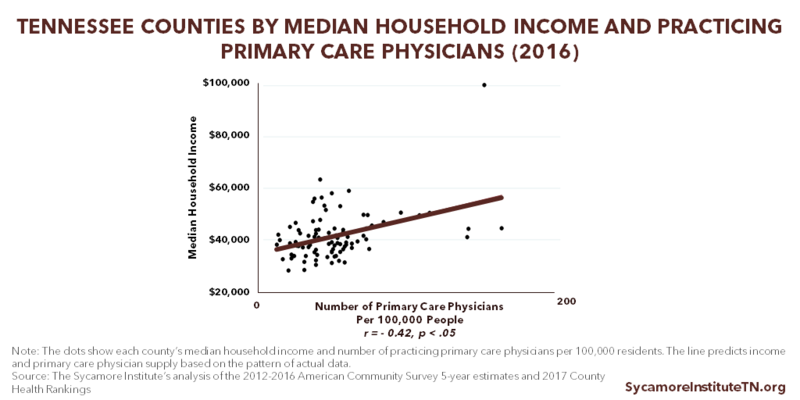 Income is the more common metric in health research and is typically measured at a single point in time. Many people are unwilling to report information about their personal wealth, and it can be difficult to calculate. These limitations makes it challenging to thoroughly explore the relationship between health and wealth. Semyonov, Moshe, Lewin-Epstein, Noah and Masikileyson, Dina. Where Wealth Matters More for Health: The Wealth-Health Gradient in 16 Countries. Social Science & Medicine, 81: 10-17. [Online] 2013. [Accessed on January 8, 2018.] https://www.ncbi.nlm.nih.gov/pubmed/23422055. Deaton, Angus. Policy Implications of the Gradient of Health and Wealth. Health Affairs, 21(2): 13-30. [Online] March/April 2002. [Accessed on December 20, 2017.] https://www.healthaffairs.org/doi/pdf/10.1377/hlthaff.21.2.13. U.S. Centers for Disease Control and Prevention (CDC). 2016 Behavioral Risk Factor Surveillance System (BRFSS). [Online] 2017. [Accessed on September 12, 2017.] Accessed via https://www.cdc.gov/brfss/annual_data/annual_2016.html. Evans, William, Wolfe, Barbara and Adler, Nancy. Chapter 1: The SES and Health Gradient: A Brief Review of the Literature. The Biological Consequences of Socioeconomic Inequalities, pgs 1-37. [Online] November 9, 2012. [Accessed on January 8, 2018.] https://www.russellsage.org/sites/all/files/wolfe%20intro.pdf. Kopczuk, Wojciech and Lupton, Joseph p. To Leave or Not to Leave: The Distribution of Bequest Motives. NBER Working Paper 11767, National Bureau of Economic Research. [Online] November 2005. [Accessed on March 20, 2018.] http://www.nber.org/papers/w11767.pdf. Braveman, Paula A, et al. 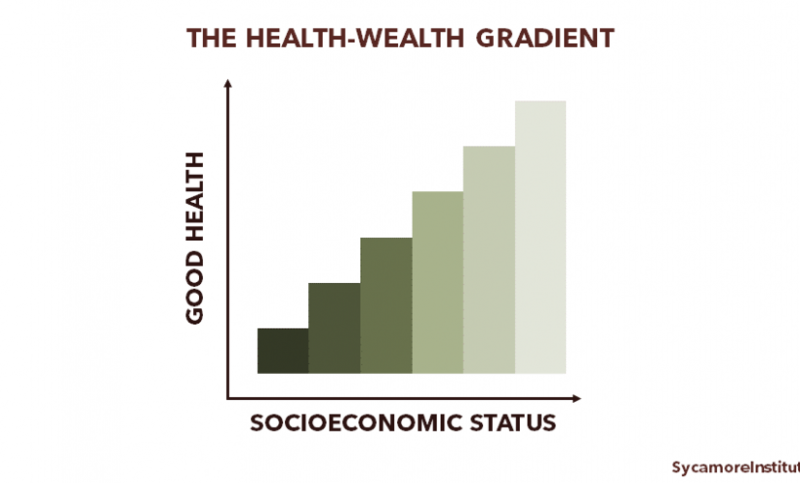 Socioeconomic Status in Health Research: One Size Does Not Fit All. JAMA, 294(22): 2879-2888. [Online] 2005. [Accessed on January 9, 2018.] https://jamanetwork.com/journals/jama/article-abstract/202015?redirect=true. Detting, Lisa J, et al. “Recent Trends in Wealth-Holding by Race and Ethnicity: Evidence from the Survey of Consumer Finances. FEDS Notes, Washington: Board of Governors of the Federal Reserve System. [Online] September 27, 2017. [Accssed on March 20, 2018.] https://doi.org/10.17016/2380-7172.2083. Braveman, Paula, Egerter, Susan and Barclay, Colleen. Income, Wealth and Health. Issue Brief #4, Robert Wood Johnson Foundation. [Online] April 2011. [Accessed on January 9, 2018.] http://www.lchc.org/wp-content/uploads/02_LCHC_EconJustice.pdf. Bricker, Jesse, et al. Measuring Income and Wealth at the Top Using Administrative and Survey Data. Brookings Papers on Economic Activity, 1: 261-331 The Brookings Institution. [Online] 2016. [Accessed on March 20, 2018.] 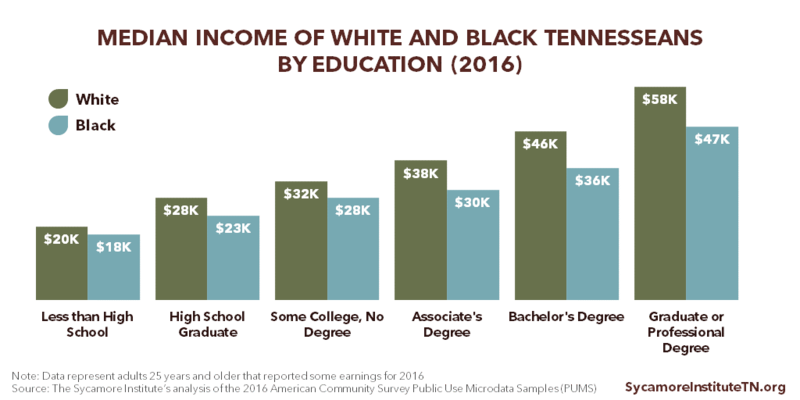 https://www.brookings.edu/wp-content/uploads/2016/03/brickertextspring16bpea.pdf. U.S. Census Bureau. 2016 American Community Survey Public Use Microdata Samples (PUMS). [Online] 2017. [Accessed on January 16, 2018.] Accessed via https://www.census.gov/programs-surveys/acs/data/pums.html. Adler, Nancy and Stewart, Judith. Health Disparities across the Lifespan: Meaning, Methods, and Mechanisms. Annals of the New York Academy of Sciences 1186(2010): 5-23. [Online] February 16, 2010. [Accessed on January 8, 2018.] http://onlinelibrary.wiley.com/doi/10.1111/j.1749-6632.2009.05337.x/epdf. Robert Wood Johnson Foundation. 2017 County Health Rankings. County Health Rankings & Roadmaps. [Online] 2017. http://www.countyhealthrankings.org/. U.S. Census Bureau. 2012-2016 American Community Survey 5-year estimates. [Online] 2017. [Accessed on December 7, 2017.] Accessed via factfinder.census.gov. Bloom, David E and Canning, David. The Health and Wealth of Nations. Science, 287: 1208-1209. [Online] 2000. http://kie.vse.cz/wp-content/uploads/Bloom-Canning-2000.pdf. Quinlan, Michael and Bohle, Philip. Overstretched and Unreciprocated Committment: Reviewing Research on the Occupational Health and Safety Effecys of Downsizing and Job Insecurity. International Journal of Health Services, 39(1): 1-44. [Online] 2009. [Accessed on April 10, 2018.] https://www.ncbi.nlm.nih.gov/pubmed/19326777. Sverke, Magnus, Hellgren, Johnny and Naswall, Katharina. No Security: A Meta-Analysis and Review of Job Insecurity and Its Consequences. Journal of Occupational Health and Psychology, 7(3): 242-264. [Online] 2002. [Accessed on April 10, 2018.] https://pdfs.semanticscholar.org/2a5f/ea74ecc95113adf0385104adcb18a8c0333c.pdf. Clougherty, Jane E, Souza, Kerry and Cullen, Mark R. Work and its role in shaping the social gradient in health. Annals of the New York Academy of Sciences, 1186(2010), 102-124. [Online] February 2010. [Accessed on January 10, 2018.] http://onlinelibrary.wiley.com/doi/10.1111/j.1749-6632.2009.05338.x/full. Kossek, Ellen Ernst and Lautsch, Brenda A. Work-Life Flexibility for Whom? Occupational Status and Work-Life Inequality in Upper, Middle, and Lower Level Jobs. Academy of Management Annals. [Online] 2017. [Accessed on April 10, 2018.] https://journals.aom.org/doi/10.5465/annals.2016.0059. Wadsworth, Martha E and Rienks, Shauna L. Stress as a Mechanism of Poverty’s Ill Effects on Children: Making a Case for Family Strengthening Interventions that Counteract Poverty-Related Stress. American Psychological Association. [Online] July 2012. http://www.apa.org/pi/families/resources/newsletter/2012/07/stress-mechanism.aspx. Bruner, Charles. ACE, Place, Race, and Poverty: Building Hope for Children. Academic Pediatrics (17): S123-S129. [Online] September-October 2017. http://www.academicpedsjnl.net/article/S1876-2859(17)30352-2/pdf. Metzler, Marilyn, et al. Adverse Childhood Experiences and Life Opportunities: Shifting the Narrative. Children and Youth Services, 72: 141-149. [Online] January 2017. [Accessed on December 14, 2017.] http://www.sciencedirect.com/science/article/pii/S0190740916303449. Anda, Robert F, et al. Childhood Abuse, Household Dysfunction, and Indicators of Impaired Adult Worker Performance. The Permanente Journal 8(1): 30-38. [Online] Winter 2004. https://www.ncbi.nlm.nih.gov/pmc/articles/PMC4690705/. Egerter, Susan, Braveman, Paula and Barclay, Colleen. Stress and Health. Issue Brief #3, Robert Wood Johnson Foundation. [Online] March 2011. [Accessed on January 10, 2018.] https://www.rwjf.org/content/dam/farm/reports/issue_briefs/2011/rwjf70441. Kawachi, Ichiro, Adler, Nancy E and Dow, William H. Money, Schooling, and Health: Mechanisms and Causal Evidence. Annals of the New York Academy of Sciences, 1186(2010): 56-68. [Online] 2010. [Accessed on January 10, 2018.] http://onlinelibrary.wiley.com/doi/10.1111/j.1749-6632.2009.05340.x/epdf.